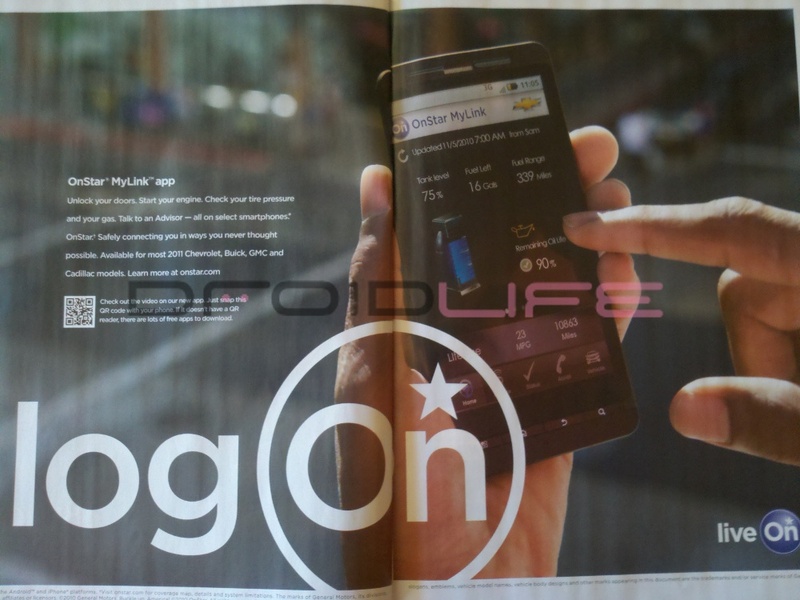 We saw the Droid X in an OnStar commercial way back in October running the car service’s new Android app, but now we’re seeing it as bold as ever in magazines. The photo above, sent in at almost the same time by two readers, was featured in Popular Science and as you can tell, is a full 2-page spread showcasing one of our favorite family members. Another Droid appearance. Keep sending these in! Rumor: Motorola's Tablet will be first to run Android 3.0?